Today, one of my team members and I were recognized for a milestone achievement of reaching $100,000 in sales since we started. Jen was also recognized for her 10-yr anniversary w/SU! 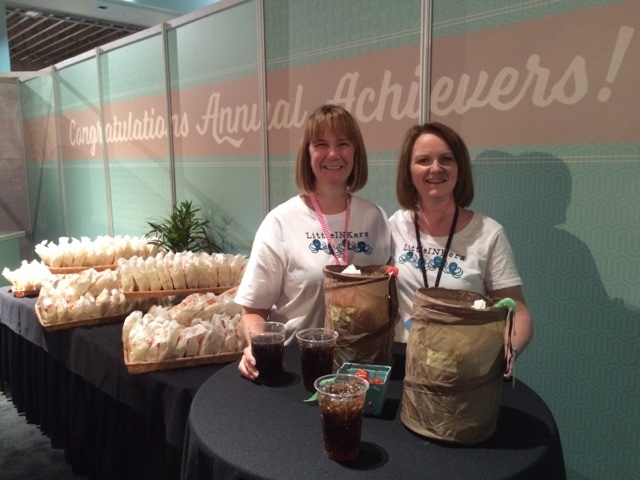 We got to go to a special room just for those who met certain milestones in their career, get a prize filled w/stamping and snacking goodies, and get free sodas from the fountain. Pretty cool! Incredible! Congratulations on your achievements.